Running a successful restaurant in Massachusetts is challenging enough without worrying about a kitchen fire, a freezer malfunction, or a customer slipping in the dining room. 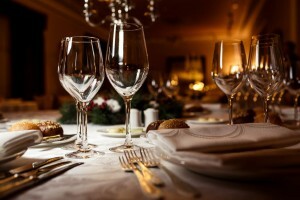 Let Mackintire Insurance Agency help you find the right restaurant insurance package to minimize your risks so you can focus on running your restaurant. General commercial property damage coverage for the building and contents. General commercial liability coverage is crucial for restaurants, which see high traffic in customers, kitchen staff and other visitors. Workers compensation insurance is required by Massachusetts state law for all employers and will protect you if an employee is hurt at work. Business interruption coverage can provide for expenses and lost income if you close temporarily after property damage. Equipment breakdown insurance for boilers, restaurant equipment and other kitchen investments may be added if necessary, with many policies paying replacement costs for new equipment. Food spoilage coverage is smart if you are dealing with a large perishable inventory. Liquor liability insurance can help protect you if a customer overindulges. Whether you run a coffee shop, pizza parlor or fine dining restaurant in Massachusetts, contact a Mackintire Insurance agent to design the restaurant insurance policy that is right for you, so you can focus on your food and your customers.